Have you ever been so tired during the end of a tennis match that your game suffered? 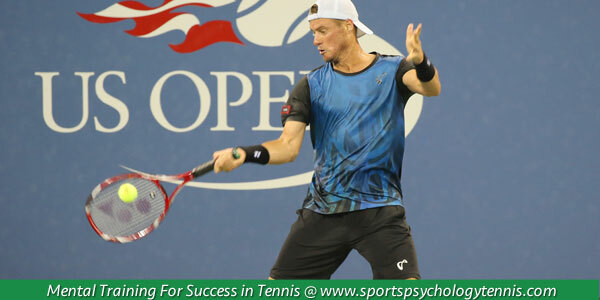 Fatigue happens in competitive tennis due to the long duration of some matches. 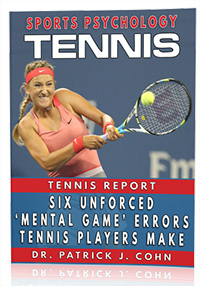 Fatigue affects players of all levels, including WTA, ATP or USTA players. Fatigue is not only physically draining but also emotionally and mentally taxing. How you respond to the “fatigue factor” is often the difference between winning and losing. How can fatigue affect your tennis? Fatigue has both a physical and psychological component. Fatigue can be an energy and attention zapper. While the physical effects of fatigue are problematic, the psychological impact of fatigue can be devastating to performance. When you tire at the end of a match, you often lose focus. Your mind wanders as you start dwelling on your physical condition. Not only do you feel lethargic, you focus on the feelings of being lethargic. So during the most critical point of the match, you are no longer focused on winning points. Suddenly you’re making mistakes that you were not making earlier in the match. If you want the edge over your opponent at the end of a match, you need to respond to fatigue in a positive manner. How to win the fatigue battle? Take control of your game. Between points take a few deep breaths. Deepening breathing will help energize you and improve your focus. Never show your hand to your opponent. No matter how you feel, act as if you have a lot left in the tank. If your opponent perceives that you are still energetic, you will gain a mental edge. Stay focused on strategy. It doesn’t matter how you feel. Focusing on your feelings is counterproductive. Identify a strategy for each point. Understand that fatigue happens to everyone, including your opponent. No matter how well-conditioned you are, there will be times when you will feel exhausted during a match. If you give in to fatigue, you give up your chances of winning the match. Make a conscious choice to fight through fatigue. Let fatigue be your cue to amp your game up and go in for the knockout blow. It is the moment of fatigue that you have your opponent on the ropes, so come out swinging. Tip #1: Practice to the point of fatigue you feel in a long match. If you push more in practice, you will begin to stretch your comfort zone and know that you can still perform despite being tired. Tip #2: Practice responding positively to fatigue. During your practice sessions, choose how you want to respond in matches. 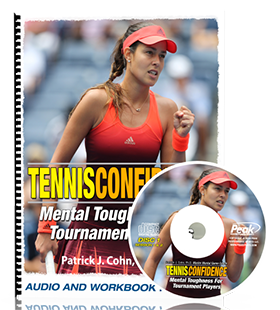 By responding positively to fatigue in practice, you will begin to condition that response for future matches.